When we go to Walt Disney World (or anywhere for that matter) I have a system to get everyone packed up easily. First, I make a quick list for each person and place it on their suitcase. 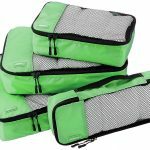 Within the suitcase, we use packing cubes (you can find them online at eBags, Ikea or Amazon or at stores like TJ Maxx, Marshalls, or Ross), and each person has their own color. I pack my 13-year-old’s clothes into cubes by shirts, pants, underwear, etc… For my 8-year-old, I put together individual outfits for each day. 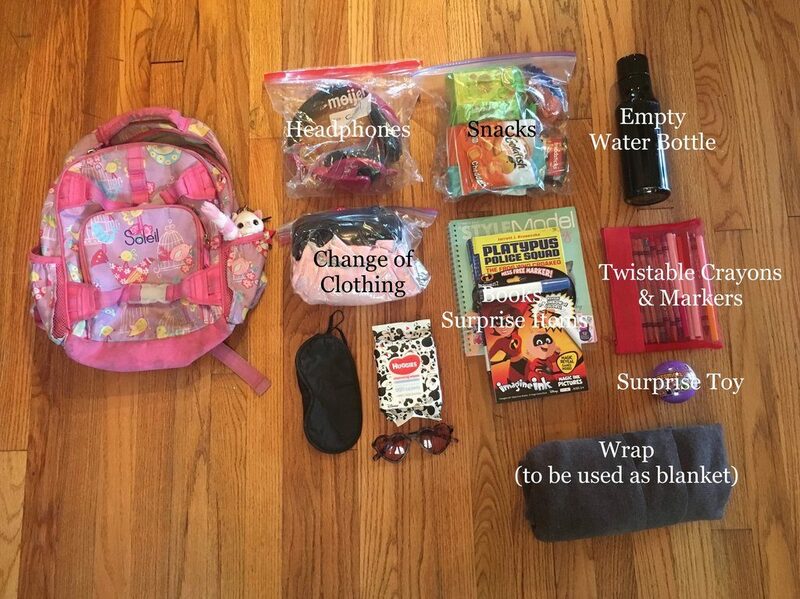 I include socks, underwear, and accessories for each and roll up and place in a packing cube. I also bring along a plastic sports backpack for each person to use for dirty clothes. 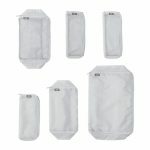 These are also great to use as wet bags after the pool. A small backpack for your kiddo can make them feel like part of the team. Parents shouldn’t have to carry EVERYTHING! Using bags to organize things makes it easier to find the essentials when you need them. 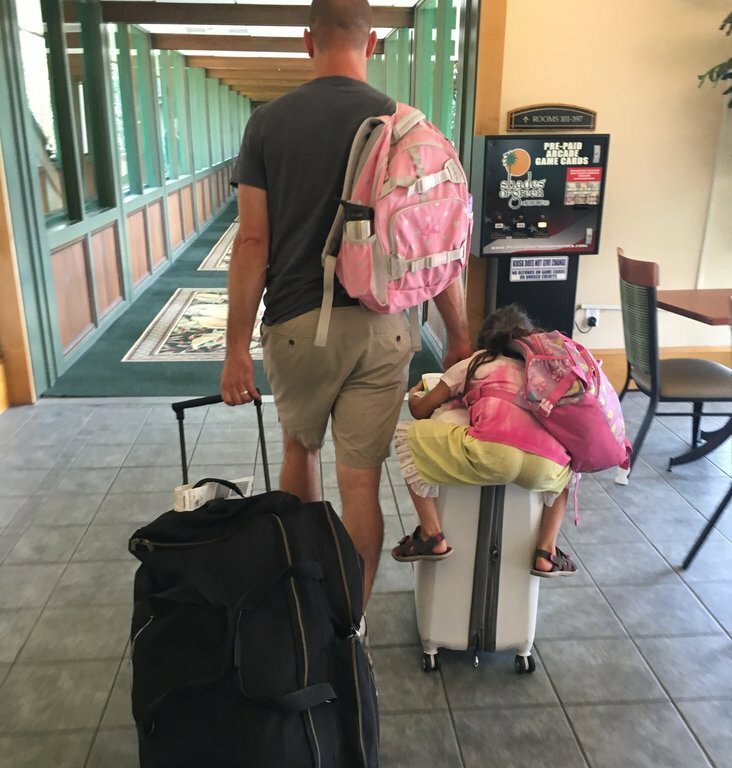 Give your child a suitcase in a size he or she can handle. Otherwise, a grownup gets stuck pulling two suitcases through the crowded Orlando Airport. Each person also carries their backpack, and then I carry a large tote for the travel documents and anything else that is very important. 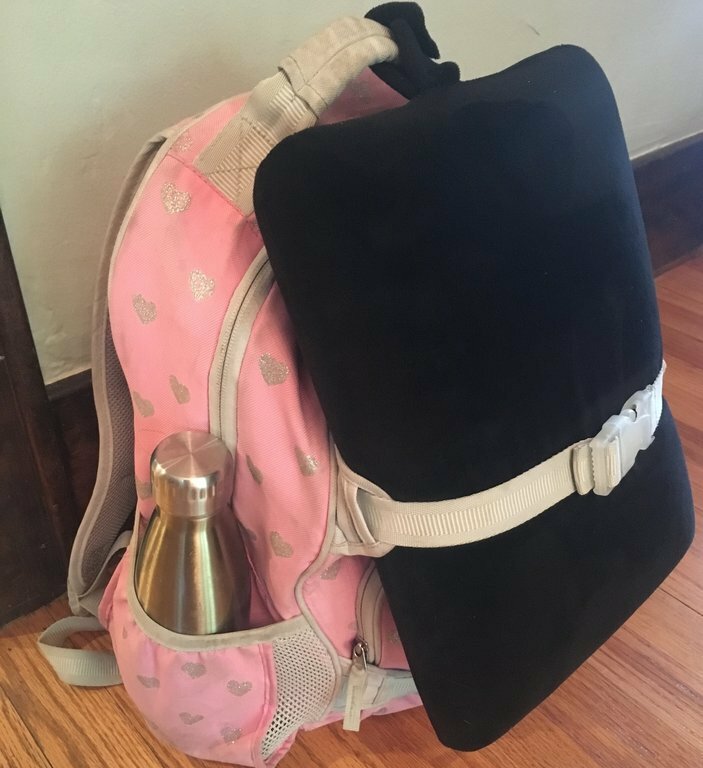 I attach travel pillows or blankets to the outside of the backpack. 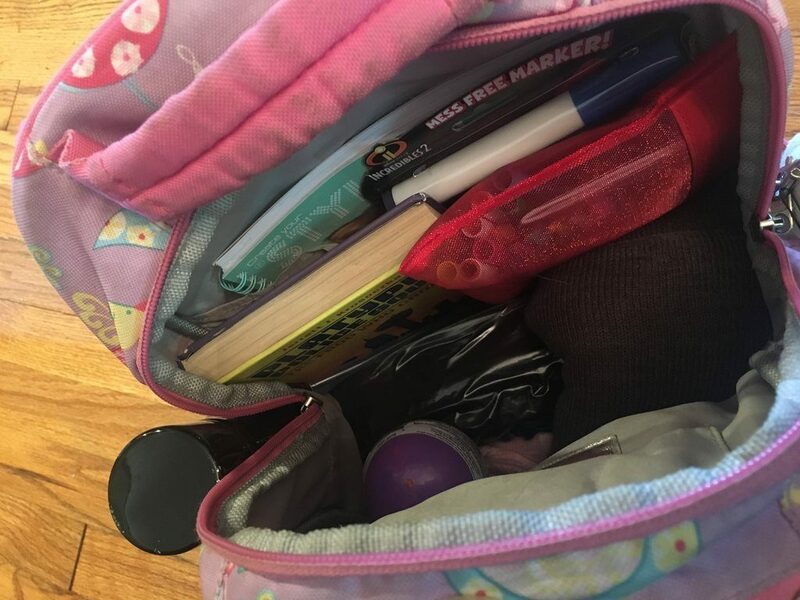 During a long trip, I even packed a lunch box with additional snacks and attached it to the outside of the backpack for easy access. My backpack has most in-flight needs covered. 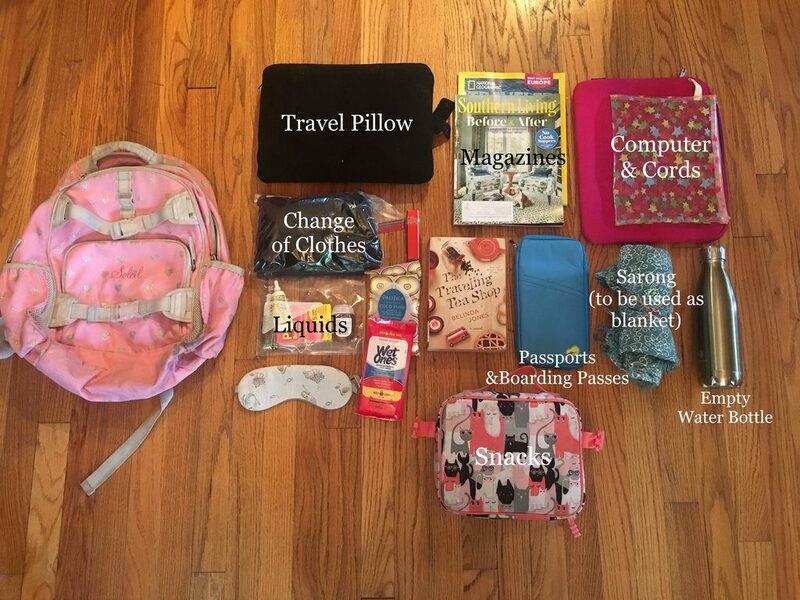 Keep essentials (pillow, water, food) on the outside of the backpack. 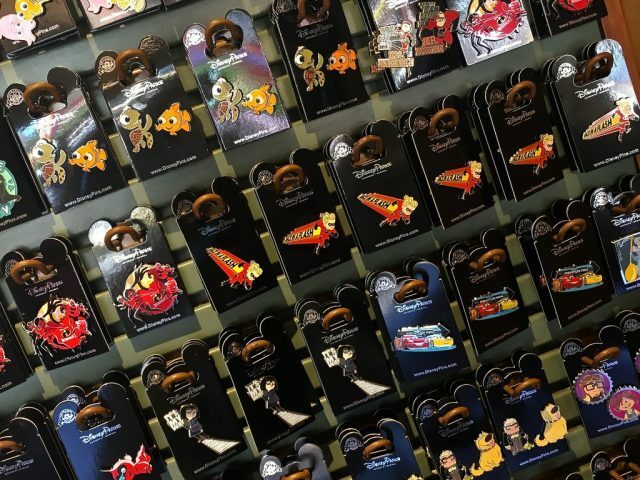 I hope these suggestions work for you, and don’t forget to pack Mickey Ears! 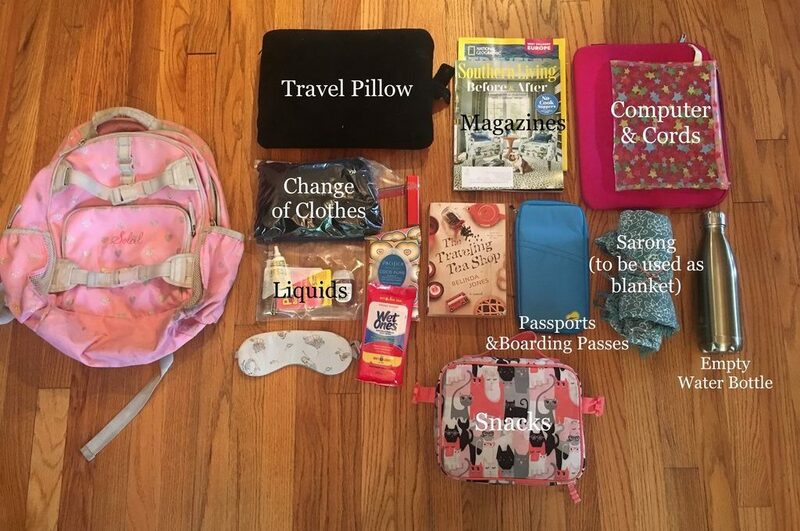 If you have some packing suggestions for our readers, please add them to the comments below. Interested in more Theme Park Hacks? Check out these articles! If you’re someone who needs a Disney fix on a regular basis, then let us tell you about our FREE newsletter. 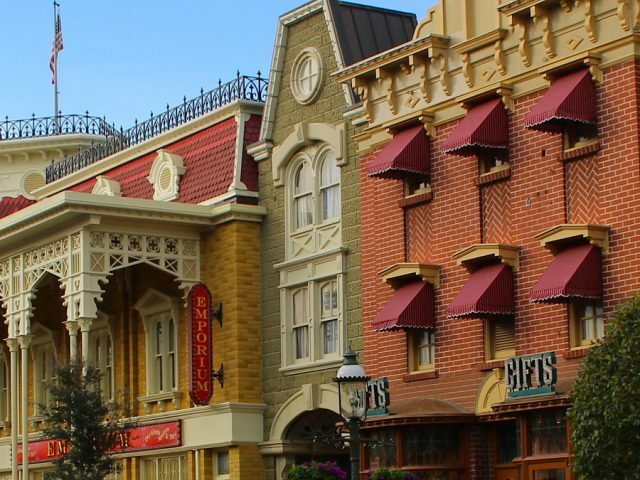 Every Monday afternoon, the MAIN STREET POP IN Newsletter contains a “photo of the week”, an inspiring quote about something Disney related, and links to our latest blog and website updates. It literally takes about a minute to read. If you’d like to sign up, we’d love to have you as a subscriber. 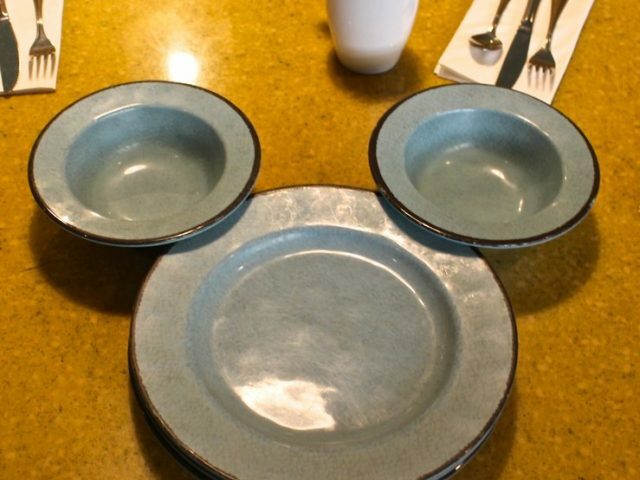 Sign up and take a quick trip to Disney with us every Monday.